"To find our place in the universe, we must venture beyond our boundaries." Gravitas Ventures debuted this full trailer for the space sci-fi The Beyond, one of the first features from Hasraf 'HaZ' Dulull, who got his start making cool sci-fi short films on Vimeo. We featured a teaser trailer for this earlier in the year, but the film has undergone extensive reshoots and re-edits, and this new trailer is a better look at what HaZ has cooked up. 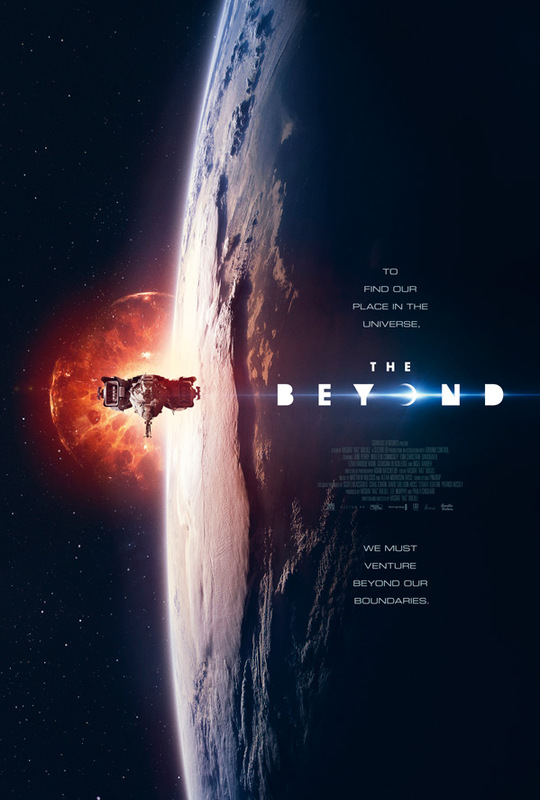 The Beyond is a low-budget sci-fi somewhat based on the idea first introduced in his short Project Kronos - first contact. It's about astronauts going through a wormhole ("The Void") to another part of the universe, who return early, and now everyone wants to know what they found on the other side. The cast includes Nigel Barber, Jane Perry, Brian Deacon, and David Bailie. Sci-fi geeks need to see this. Set in 2019, The Beyond chronicles the groundbreaking mission which sent astronauts - modified with advanced robotics, through a newly discovered wormhole known as the Void. When the mission returns unexpectedly, the space agency races to discover what the astronauts encountered on their first of its kind interstellar space journey. The Beyond is an original sci-fi project written and directed by sci-fi filmmaker Hasraf "HaZ" Dulull (check out his Vimeo page), who started out with VFX work and short films, and directed his first feature film Origin Unknown, which is still awaiting release. According to THR, HaZ hopes "to do to sci-fi what Blumhouse did for horror." He wrote, directed, edited, produced and did the VFX to pull off The Beyond with a minimal budget. It is loosely based on his 2014 short Project Kronos. HaZ's The Beyond will be released direct-to-VOD on January 9th, 2018 at the beginning of next year. Who's down?